Covering in excess of 200 acres, Surrey National Golf Club is a Championship course approaching 7,000 yards from the Championship tees and 6,300 from the daily play tees. Designed by leading golf course architect, David Williams, the course meanders through dramatic rolling countryside, populated by thousands of mature trees which further enhance the appeal of the setting. Carefully positioned bunkers, raised tees, tree lined fairways and two teasingly placed lakes, mean a good test for golfers of all abilities. Although the contours of the site are dramatic, the clever use of these natural assets ensures that the vast majority of the holes are played either level or downhill, with only one real uphill shot – that being a short pitch to the raised green on the 2nd. As befits a championship length status, the course has a number of difficult par 4s –the 16th and bunker less 6th being the most difficult – but the most challenging hole is the 3rd, which requires a carry of over 150 yards across water from the championship tee. Surrey National welcomes visitors, corporate days and societies to play its course and enjoy hospitality in its magnificent clubhouse – the perfect place to relax after a hard round of golf and to enjoy first class catering, free Wi Fi and excellent service in either our spike bar or Fountain Suite, which both provide spectacular views across the lake, fountains and course beyond. Society packages require a minimum of 8 golfers. Winter Package (1st November 2018-31st March 2019) Coffee & Bacon Roll & 18 Holes - £20 per person. Summer Packages (1st April to 31st October 2019) 18, 27 & 36 hole packages available with breakfast, lunch and dinner options, freshly prepared by our chef. Packages starting from £29 per person. Offers: 10% discount available on all society bookings in April and August. 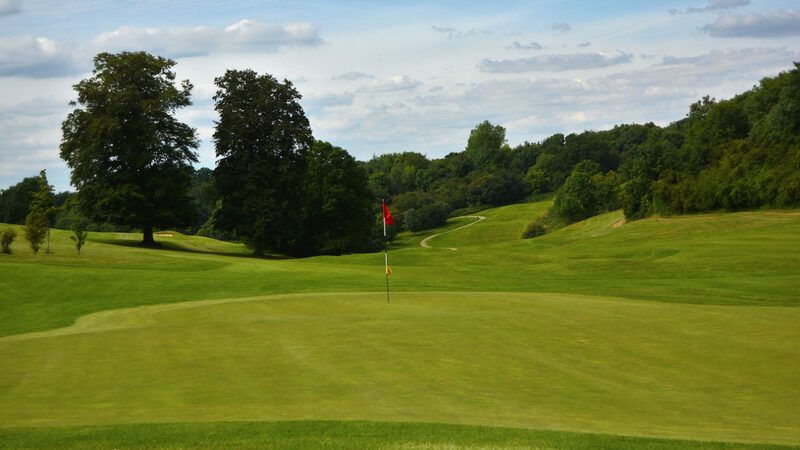 Surrey National Golf Club is located on the B2031 between Caterham-on-the-Hill and Chaldon, just minutes from the M25, Junction 6. By rail ~ the nearest train station is Caterham, where there is a taxi rank (approx 5 mins by car). Gatwick airport is just 1/2 an hour away by car, Heathrow 1 hour. We welcome visitors 7 days a week. Please book online for our best rates: www.surreynational.co.uk or call 01883 344 555. We can recommend good hotels in the surrounding area.